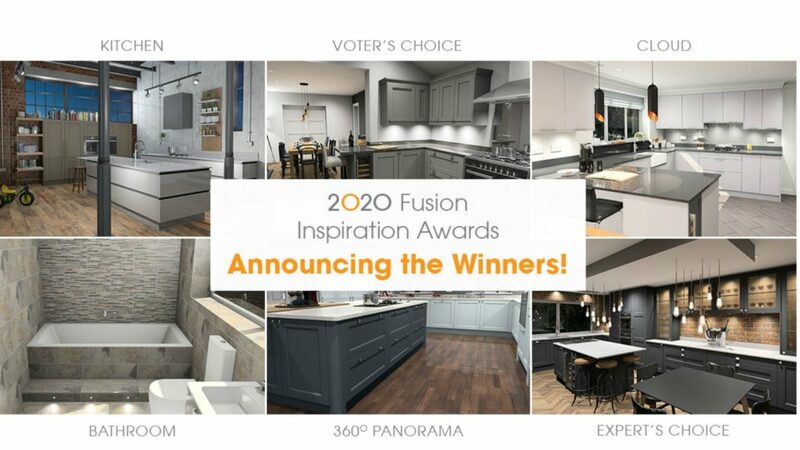 CAD supplier 2020 has just announced the winners of its 2020 Fusion Inspiration Awards. Designers could enter all four categories: Kitchens, Bathrooms, 360° Panoramas and 2020 Cloud Decorative. A further two awards – Experts’ Choice and Voters’ Choice – chosen by judges and peers, respectively were also presented. Kevin Matthews from Duo Kitchens & Bathrooms won the Kitchen category, while Matthew Thomas from Liberty Home Design was announced the winner of the Bathroom category. The winners of the 360° Panoramas and 2020 Cloud Decorative categories were named as Raj Jethwa from Sydenhams and Oscar Morrell from Raycross Interiors, respectively. In addition, Experts’ Choice was presented to Yaprak YalcinKay from Designer Kitchen Direct, while David Fitton from Mill Town Kitchens was presented with the Voters’ Choice category. 2020 regularly features in Kitchens & Bathrooms News offering readers tips on design techniques. Read managing director of 2020 Craig Rothwell’s 6 top tips on how to make a room look bigger.